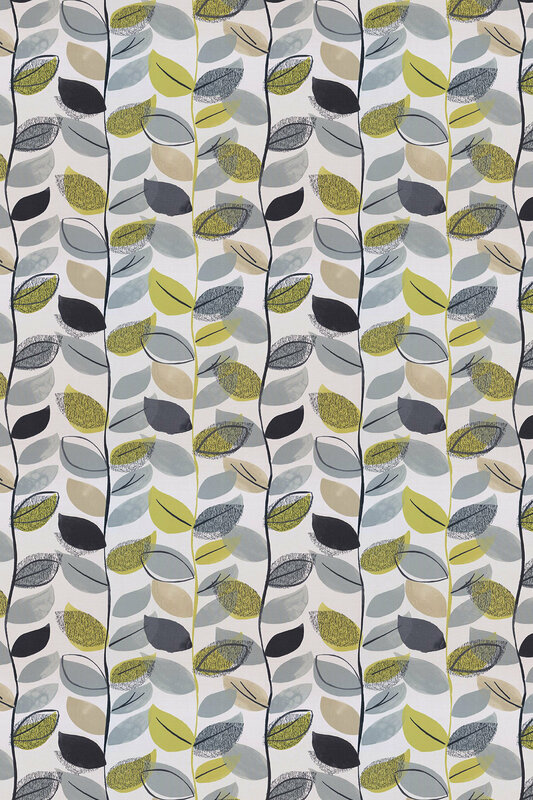 A stunning retro feel design with overlapping vertical leaf trails in bold colours. 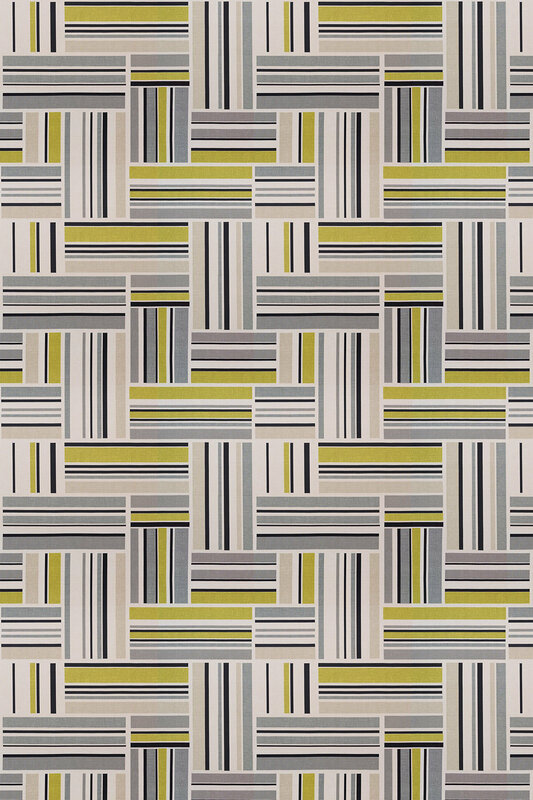 Shown here in the citrus and oliver greens with black on a warm cream weave effect background. Please request sample for true colour and texture match. 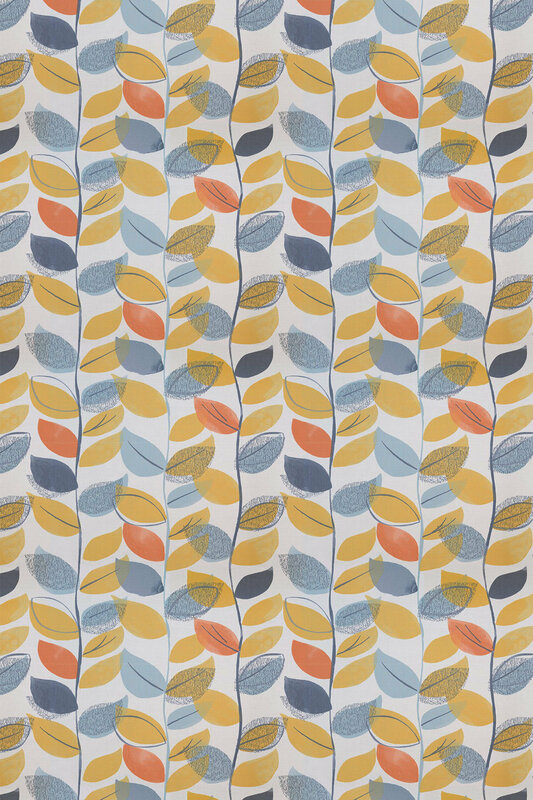 A stunning retro feel design with overlapping vertical leaf trails in bold colours. 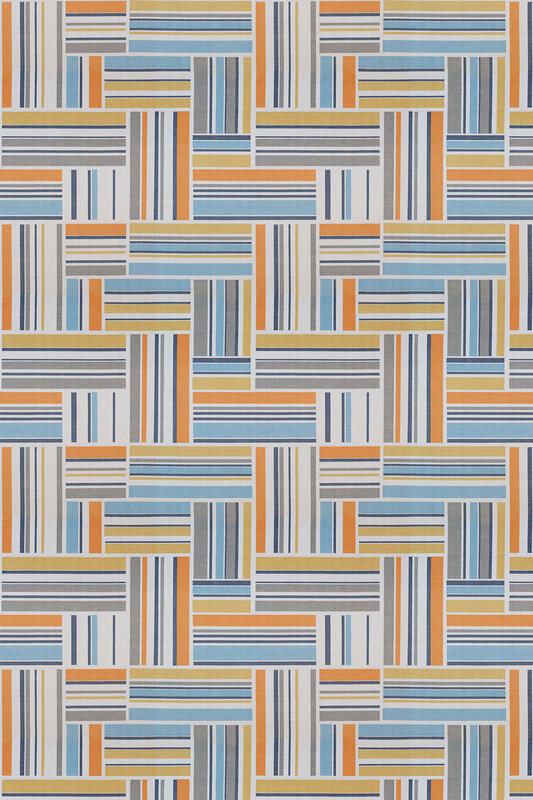 Shown here in the tangerine orange mustard yellow and aqua blue on a light grey weave effect background. Please request sample for true colour and texture match. A bold geometric design with stripes in opposite directions set within rectangles. Shown in lime green grey black and taupe on a cream background. Please request sample for true colour and texture match. A bold geometric design with stripes in opposite directions set within rectangles. Shown in shades of spice red and tan on a dark cream background. Please request sample for true colour and texture match. A bold geometric design with stripes in opposite directions set within rectangles. Shown in tangerine orange mustard aqua blue and greys on a light grey background. Please request sample for true colour and texture match. A smart small scale teardrop motif design in silver grey and citrus green creates a stripe effect. Please request sample for true colour and texture match. 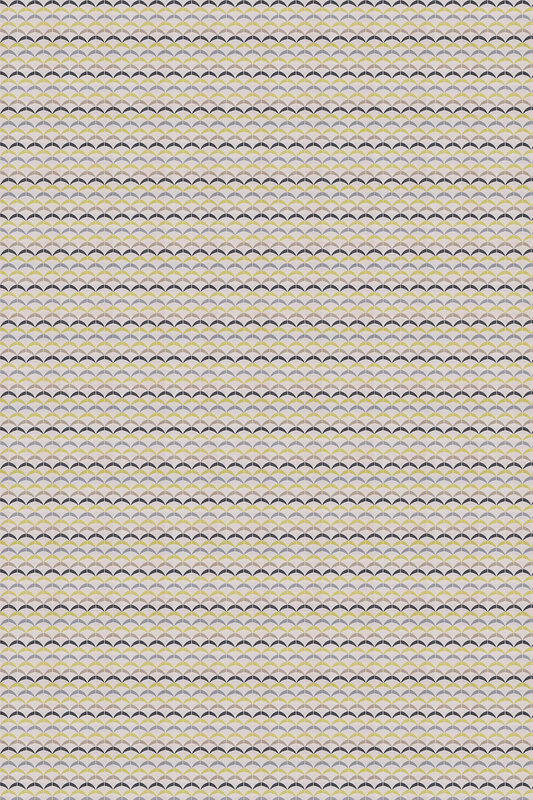 A smart small scale teardrop motif design in silver grey and shades of mulberry purple creates a stripe effect. Please request sample for true colour and texture match. 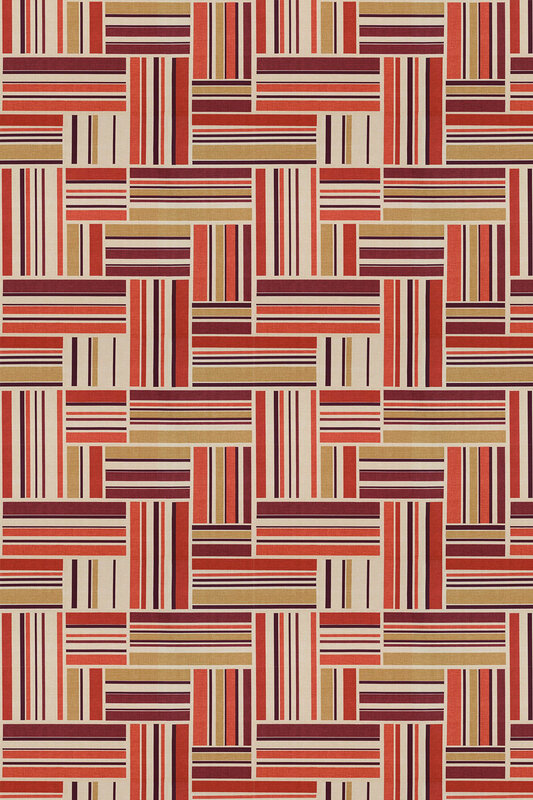 A smart small scale teardrop motif design in spice red sand and beige creates a stripe effect. Please request sample for true colour and texture match. A smart small scale teardrop motif design in silver grey cream and spice orange creates a stripe effect. 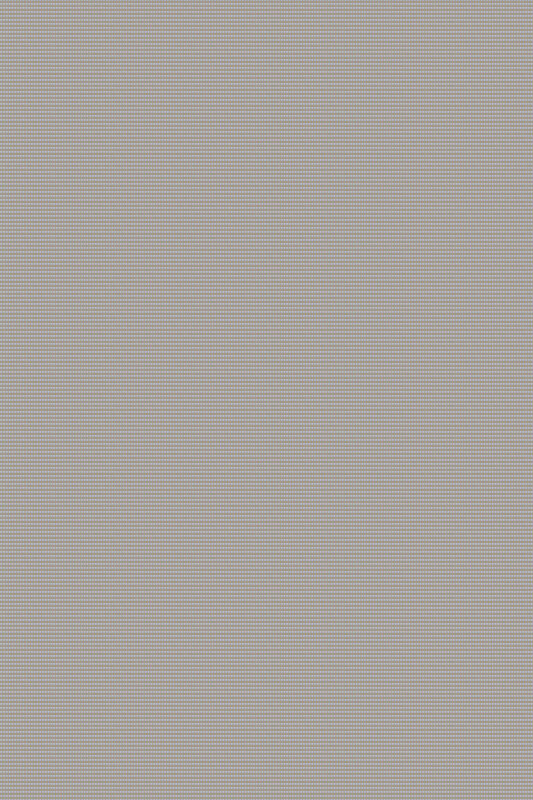 Please request sample for true colour and texture match. A small scale scalloped design with rows of scallops in different colours creating a pleasing stripe effect. Shown here in the lime green and shades of grey on a soft neutral background.Please request a sample for true colour and texture match.